Last spring, Liana Derus, an SF State junior, decided to enter Supervisor Mark Farrell's ReimagineSF scholarship contest, which encouraged students to read through San Francisco's legal code online and comment on laws they believed to be outdated or ineffective. Junior Liana Derus, an environmental studies major, won a scholarship for her suggested change to the city's legal code. After a thorough review, Derus ended up proposing that legislation requiring gas stations offer separate bathrooms for men and women be overturned -- and was one of two winners of a $1,000 scholarship. Based on Derus' suggestion, Farrell drafted legislation to amend the city ordinance, which was unanimously approved by the Board of Supervisors in January. Derus talks about her experiences with the scholarship program and at SF State. How did you come up with the idea to get rid of the requirement that gas stations have separate bathrooms for men and women? I had been working on a final project for a women and gender studies class for which we created a petition to re-designate some of the bathrooms in the Humanities building as unisex. They are already equipped with stalls, and the building has a lot of restrooms, so it would be a minimal investment to designate some bathrooms as inclusive spaces for any gender. So I was already thinking about gender, and when I saw that law I thought it was ridiculous that it was legally mandated that there have to be two separate restrooms for the typically established two genders. I saw it from a gender perspective, and Supervisor Farrell liked the idea from a small-business perspective -- saving business owners money. When I first heard that I won the scholarship, I thought, "Wow, gas stations -- what an interesting place to explore gender roles." Based on your proposal, the legal code was amended earlier this year. How does that make you feel? It's pretty incredible, considering that I'm 20 years old and haven't graduated from college yet. I'm interested in politics, but not planning on a career in politics. So the fact that a student who is young but educated on real-life issues was able to make a difference is amazing. A recent San Francisco Examiner editorial, which references your proposal, suggests that unisex bathrooms be established in more public spaces. What do you think about that? I think that's excellent, and San Francisco is a good environment to start out. In other communities, that might be very radical and make people uncomfortable, but I think this is a place where people are more open. Some people find comfort in the binary gender system, but the truth is that there are some people who are going to be extremely alienated by it. I'm really interested in nonprofit work. 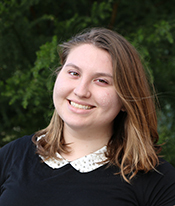 I'm the sustainability manager at Sustainable Initiatives [a program of the Cesar Chavez Student Center], and I really enjoy the work that I do, which incorporates making the campus more sustainable and educating people on the overlap between environmental issues and social justice. I'm interested in doing political advocacy and helping change systems at a large scale. How has your experience at SF State been so far? SF State has given me so many opportunities to explore my political awareness. Of course, I was aware in high school of issues of racism, sexism and homophobia, but there wasn't really a safe environment to discuss those issues. At SF State, there is an open and talkative environment. It's so diverse, and people share different experiences and we can learn from one another.